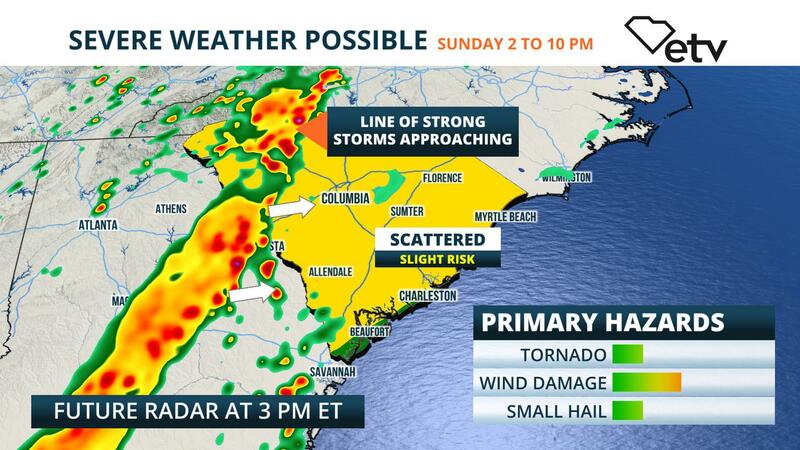 A band of showers and thunderstorms that produced pockets of damaging wind over Georgia this morning will move into the Upstate and Midlands of South Carolina through mid afternoon. These storms will weaken gradually as they move through the state and head toward Interstate 95 just before dusk. Brief downpours and gusty winds are most likely with this first round of thunderstorms. Another round of thunderstorms is forecast to form along a cold front over north Georgia and the North Carolina mountains and move into the Upstate of South Carolina after 5 PM. Forecasters at the Storm Prediction Center in Norman, OK are monitoring this second wave of thunderstorms for a more substantive threat of strong thunderstorms. 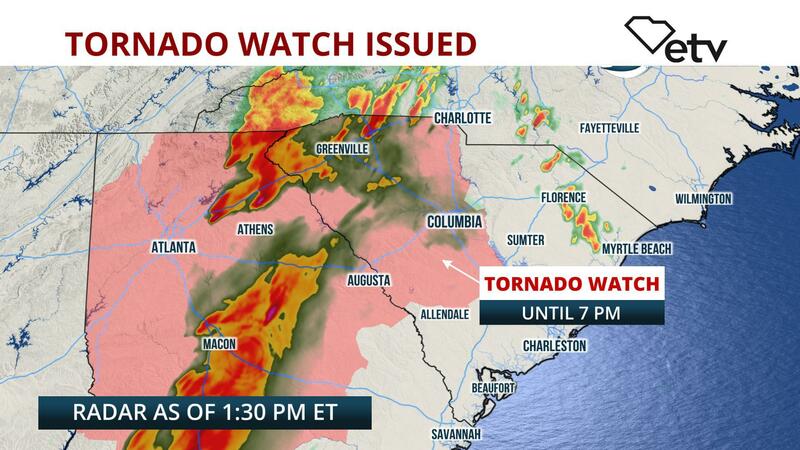 A few tornadoes and damaging wind gusts are possible with this second round of storms, primarily in the Upstate region between 5 and 10 PM, according to a statement released by the center midday Sunday. As this second round of thunderstorms heads toward the Midlands, it is forecast to weaken. For that reason, the threat of damaging thunderstorms is lower toward Interstate 95 and the Low Country.